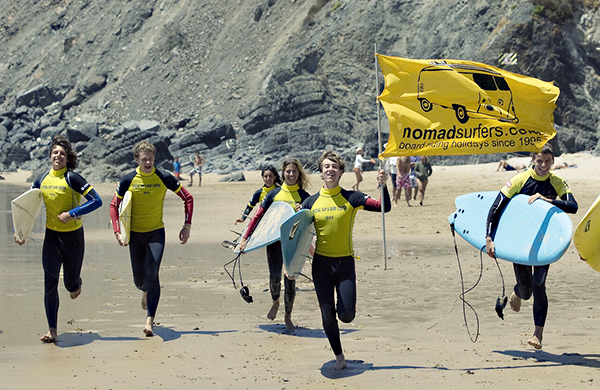 Camper Van Rental Surf Trip - Lisbon, Lisbon Guests overall rating: ☆☆☆☆☆ 0 based on 0 reviews. When you choose to Hire a Campervan with us, you´re also hiring the most friendly staff, the best itinerary planners and a team that wants you to have the best surf trip ever. Our professional goal? Simple…make us, the most reliable Campervan hiring company in Portugal. And HoW? By providing the best service, filling up our client’s needs, operating with a modern fleet, planning your holidays to every detail and last, but by no means least, make sure you don´t miss any bit of this amazing country. You can also choose the extra equipment that you would like to take along for your trip. We have several items such as sport material (surfboards and wetsuits, bicicles), WI-FI, GPS, Bluetooth Speakers, power inverter (12V/220V), camping tents, outdoor table and seats, barbecue, relaxing chairs, bed kits, towel kits, games and many others. Here you can check the FAQ,S related to our Camper van hiring. WHAT IS THE CAMPER VAN CAPACITY? Our Camper vans have 5 seats with safety belts. They are equipped with 2 double bunk beds (length 188 cm / width 120cm) and 1 removable single bed (length 185 cm / width 70 cm). WHO CAN DRIVE A CAMPER VAN? Any adult over 21 years old, holding a valid driving license for more than 2 years. – subscribe PLUS or ULTRA INSURANCE PROTECTION. IS THERE A MINIMUM HIRING PERIOD? However, please contact us if you have any questions regarding rental periods. We charge 15% of the rental value in the reservation. DOES THE RENTAL VALUE INCLUDES INSURANCE? Every rental includes BASE PROTECTION, with a € 2.000,00 security deposit. * the security deposit is reserved and held in a credit card (VISA or MASTERCARD), being canceled 10 days after the end of the contract, as written in the RENTAL TERMS. CAN I DRIVE OUTSIDE PORTUGAL? You can drive outside Portugal if you choose the ULTRA insurance additional protection. WHAT IS THE SCHEDULE FOR PICK-UP AND DROP-OFF THE CAMPER VAN? The delivery or return of the Camper van can be done at any time. Our office is less than 10 minutes from Lisbon Airport. Outside the schedule, a € 35,00 fee,will be charged. WHERE CAN I PICK-UP AND DROP-OFF THE CAMPER VAN? 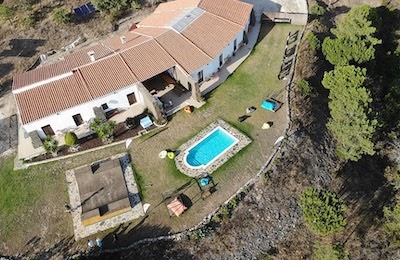 For any other place in Portugal or abroad, ask for a quote. WHY ARE THE CAMPER VANS FIAT DUCATO? ARE THEY RELIABLE? FIAT Ducato are known for their reliability in the motor caravanning sector, being the most important base model for Campervan manufacturers, holding 2/3 of the European market. FIAT also has a wide technical assistance service in Portugal and abroad. To prevent any malfunction all our Camper vans are inspected before and after every rental. The first thing to do, apart from keeping calm, is to contact us. We will guide through the procedures. We are just a phone call away, 24/7. Each Camper van also has a DRIVERS MANUAL, with information about the Camper van and the procedures do adopt. We also advise you to carefully read the RENTAL TERMS. WHAT DO I NEED TO BRING, TO PICK-UP THE CAMPER VAN? IN WICH CONDITIONS SHOULD I RETURN THE CAMPER VAN? We deliver the Campervan with a full diesel tank and you must return it the same way. The interior and exterior conditions must be the same as they were at the beginning of the rental. Any damage on the vehicle or equipment will be quantified and its value deducted on the security deposit amount. The Campervan has to be returned with the interior, WC and equipment totally cleaned and organised (no garbage, sand, mud or any other waste) and the residual water deposit has to be empty, otherwise a € 100,00 cleaning fee will be applicable. WHERE CAN I LEAVE MY CAR DURING THE RENTAL PERIOD? AND TRAVEL BAGS? The parking, outside our office, is free. However, it´s entirely at your own risk. We can store your travel bags (trolleys) at our store, for free, so you have more space in the Camper van. DO I HAVE TO LEAVE A SECURITY DEPOSIT, WHEN I PICK-UP THE CAMPER VAN? The security deposit is mandatory. It varies according with the selected additional protection. The purpose of the security deposit is to cover the costs applicable for damaging both, vehicle or equipment, during the rental period. The amount is reserved and held in a credit card (VISA or MASTERCARD), being canceled 10days after the end of the contract, after the Camper van delivery, as written in the rental terms. WHAT SHOULD I DO, IF I´M LATE TO RETURN MY CAMPER VAN? You must inform our office as soon as possible. You can be conditioning another customer rental period. For more information, please read our RENTAL TERMS . I´VE NEVER DRIVEN A CAMPER VAN BEFORE. WILL I ADAPT EASILY? Very quick and easy to learn, once it´s very similar to a normal car. However, because it´s probably bigger than your everyday vehicle, we advise caution while driving and parking. For this reason, we chose to equip our Camper vans with Parking Sensors to help you park safely. While delivering you the Camper van, we will explain in detail the features and functions of the vehicle and its equipment. NO MUSIC / NO ROADTRIP! DO THE CAMPER VANS HAVE A SOUND SYSTEM? All the Camper vans have Radio CD/MP3 player, with AUX (3.5mm jack) and USB. (Cables are not included). Portugal offers some of the best surf spots in Europe. That’s why it attracts so many surfers and world-class championships as the Rip Curl Pro Portugal. It is even considered the best surfing destination in Europe due to its great consistency throughout all year round and the wide variety of breaks, ideal for all levels of surfing. All Surfinn surf camps are situated in the best locations along the Portuguese coast to ensure that you have the best waves at your door. Reserve our Surf Trip pack and you’ll get them all at once! Also known as “Red Rock” by foreign surfers, this spot is a large extension of sand with several breaks between Lagido and Belgas, ideal for all levels of surfing. Its orientation to N, NW ensures greater consistency. Works best with a N swell and SE wind. This is probably the most famous beach in the region and home to the largest concentration of surfers. His fame comes from the many competitions that occur throughout the year and surf schools that chose this beach to work. It has perfect breaks for learning and some breaks with barrel sections for the more experienced. Ideal conditions occur when it is more than 1m swell and wind from WE. One of the favorite beaches for surf schools in Algarve. In its best days, sessions can be unforgettable. By being a sheltered spot, it is the spot chosen by local surfers when all other spots around are too big or stormy. On its big days, it has a spectacular right hander only for the most experienced braking right over the outside reef. It is one of alternative spots during the Rip Curl Pro Portugal because it’s more exposed to swells from the North Atlantic. On good days you can even ride some tubes. Due to the large extension of sand with several breaks, it becomes the preferred beach by many local schools to teach surfing. Best conditions occur when N swell and SE, S wind. This is a favorite place for beginners. Which has a fairly regular consistent even during the summer. It has a triangular break with good lefts and rights. Works best with a swell from NW and SE wind. It is undoubtedly the beach for big riders! In the days of greatest swell, is the best spot in the region that offers the best conditions with an extremely long wave. Located immediately north of the Praia do Amado, works slightly differently and have much less crowded. The best conditions occur with big NW swell and winds from E quadrant. In some windy days it’s also an excellent beach to practice kite surfing. It is a high quality right-hander only for experienced surfers hungry for tubes, because it breaks over a reef bottom. Probably the heaviest and most difficult wave to surf in Portugal for being too quick, hollow and powerful. The ideal conditions occur during big NW swell and E winds. It is a high quality wave recommended for experienced surfers because it breaks over a reef bottom. It is a very fast and hollow wave on the inside that works with NW swell and S, SW wind. It is also one of the most popular beaches in the southern region where some championships take place, including a WQS event. Its long stretch of sand offers multiple breaks for different surfing levels. Therefore it’s a beach that gathers a large number of surfers and ruled by a very cool atmosphere. Ideal conditions occur during the winter months with NW swell and E wind. Coxos is considered one of the best waves in Portugal, fiercely defended by the locals. On its best conditions is very long and holds up to 3 meters with N, NW swell and E wind. If the path to the spot is tricky, even more difficult is to get down the sharp rocks and full of sea urchins to get in the water. Basically it’s better to go with a local guide if you want to get in and get out unharmed. 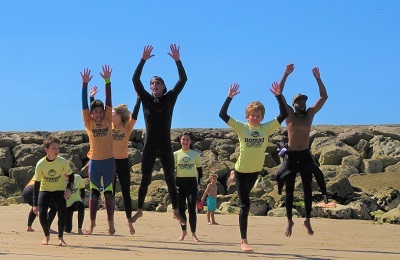 Ericeira Surf Camp & Surf School just 5 minutes away. It is one of the spots in Portugal that receives the most swell throughout the year. Although not perfect waves, is one of the most consistent and ideal for learning. 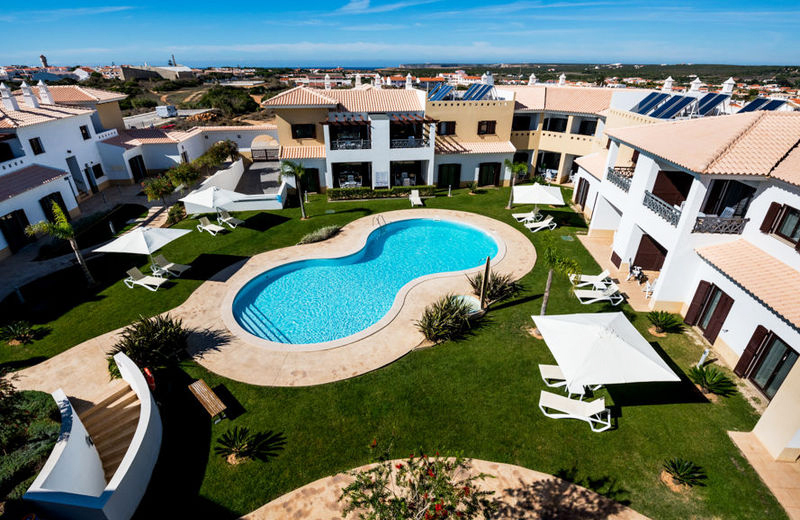 With the Lagoa d’Óbidos a few meters away, is the perfect place to combine surfing and kite. It is a cozy beach accessible to all levels and a favorite spot for surf schools. It has a break in the middle of the beach that produces good lefts and rights over a sandy bottom. The best conditions occur during the NW swell and E quadrant winds. Perhaps the best known reef-break in Peniche region. It has long left hander wave with fast and slow sections. It is also one of the alternative spots of Rip Curl Pro Portugal, where normally the female competition takes place. Works best with N swell and Sh quadrant wind of. Peniche is a very complete area where there is always an off-shore wind. It’s a beach break with has several breaks that can handle large swells in. It only get surfers during the summer and so, the best time to surf here completely alone is from October. The best waves begin to work with 1m to 2m NW, W swell and E quadrant wind. Watch out for some rocks scattered along the beach! It is the most popular beach in the Alentejo region for its beauty but it’s never too crowded, even in its best days. Starts working with waves smaller than 1m W, NW swell and E quadrant wind. Just a few meters from Supertubos, it is one of alternative breaks during the Rip Curl Pro Portugal. Presents a fast and hollow right which begins near the pier and can be quite long. It has a sandy bottom but it is ideal to start practicing the first tubes. Works best with a swell from SW and N or NE wind. It is one of the prettiest beaches in the Alentejo region with some breaks along the each which offers good rights and lefts in a sand bottom. Ideal for all levels of surfing but recommended only for experienced when swell is too big. The best waves begin to work with 1m, holding up to 2m W, NW swell and E quadrant wind. Usually has only crowd during the summer. Despite being the only left hander in Ericeira region, in its best days is one of the best waves in Portugal. Only recommended for experienced surfers because it is a powerful and fast wave that breaks over a reef bottom. Holds more than 3 meters with a W swell and wind from the E quadrant. It is a difficult beach to reach. On good days it can present you good lefts in the reef break and good rights in the middle of the beach. Its difficult access does not prevent many surfers and surf schools to choose this as their favorite spot in the summer months. Ideal conditions occur with greater than 1m NW swell and E wind. It works with the same conditions as the Cave. That is, if the Cave is working but with too much power, it is better to go to the Reef. However it remains a powerful right hand only recommended for experienced surfers. It is one of the most popular beaches in Portugal and stage of many championships as the WQS 6 *. It has one of the longest lefts which can reach more than 500m. The inside is one of the favorite places for our school to teach surfing. Their best conditions occur when NW swell and E wind. It is one of the most famous beaches for Portuguese surfers, home of the largest surf and kite event in Portugal – Ocean Spirit. Presents an extensive beach with several breaks for different levels of surfing. Ideal conditions occur in NW, W swell and E wind. A wave very accessible to all surfers. The best conditions occur during low tide with a SW, W swell and NE, E wind. This beach has the distinction of having the hottest water in the region! The name says it all! It is undoubtedly the best known surf break in Portugal with international reputation, where is held annually the Rip Curl Pro Portugal. Of all the breaks in the Peniche region, this is the most challenging and only recommended for experienced surfers because of its fast tubular waves. The conditions are perfect with a W quadrant swell and when the wind blows from N, NE. If you’re after tubes, this is the right place, from right to left! Alternatively, there are other more accessible breaks right next to it. It is one of several spots in Sagres but one that deserves more attention because it offers good waves with more consistency. Its orientation favors the W quadrant swell and the E wind. It is a spot that although short, can handle big swell and where important Bodyboard Championships take place. A beach break with multiple breaks, offering good rights and lefts. Ideal for all levels of surfing but in its best days could be an interesting playground for the more experienced. Usually has crowd only during the summer months. The best waves begin to work with 1m to 2m in NW, W swell and E quadrant wind. The beach has several breaks that can handle large swells. During a week in summer welcomes thousands of people gather for a music festival. The rest of the year is virtually no crowd at all. The best waves begin to work with 1m to 3m W, NW swell and quadrant E wind. Watch out for some rocks scattered along the beach! This is the only beach mentioned here with south orientation. For this reason, it has far less consistency. It works only when large swells created by Atlantic storms form and with a direction from S, SW and N wind. However, when you gather the best conditions, this break has some of the best waves in Portugal and has appeared in many surf magazines. Our office is located in Telheiras, 10 minutes (by car) from Lisbon Airport, open between 09h00 and 17h00. For any other place in Portugal or abroad, please ask for a quote. – Cities of Faro or Porto (€ 175,00 one way). * Prices could increment depending of assurances and extras that might be contracted.